The United Kingdom is one of the best countries to live in when it comes to gambling. The United Kingdom Gambling Act of 2005 and the United Kingdom Gambling Commission ensures all forms of online and land-based casinos in the country are properly licensed, regulated and cater to UK residents with fair payouts and and responsible gaming practices. As such, the live casino industry is booming throughout the country – if you’re looking for the best brick and mortar UK casino venues, our guide has you covered. The modern-day era for casino venues in the UK truly began in the 1960s, following the establishment of the 1960 Gaming Act which legalised land based casinos in the United Kingdom. Gambling mogul George Alfred James was the pioneer leading the charge, converting his shop into what would become the Casino Club Port Talbot in Wales – Great Britain’s first legal casino venue – the following year. In 1962, James opened the Prince of Wales Club in Cardiff, the Golden Horseshoe in North West London and the Kingways Casino in Southport. The rapid development and subsequent boom in business led to several smaller casino operations spread throughout the country, though tweaks to the Gaming Act in 1963 and 1968 were made to better regulate the gambling industry. By the early 1970s, the new gambling boards and tighter laws led to a rapid decrease in land-based casinos, from over 100 to just over 120. When the United Kingdom Gambling Act of 2005 and the United Kingdom Gambling Commission was established to better license and regulate all forms of gambling in the country, more land-based casinos continued to open around the country and were allowed to build bigger and in regional areas, as well as host more slot machines and gaming tables. The original proposal of “super casinos” similar to those found in Las Vegas in the United States were mostly rejected in 2007 in favour of supporting several smaller casino operations spread more evenly throughout the country. Eventually in 2011, after unprecedented growth the first of the super casinos proposal was completed in London with the Aspers Casino. The latest to open was Victoria Gate Casino in Leeds in 2017. Today many of the land based casinos in the United Kingdom are owned by major groups and under the same brand, such as The Rank Group’s Grosvenor brand (30 casinos throughout the UK) who also purchased the Gala Group of casinos (19 throughout the UK) and Genting Group’s Genting Casino and Genting Club brands (50 casinos across the United Kingdom). Both groups account for close to 80% of the UK’s land-based casinos, but there are plenty of smaller brands like Alea and Napoleons Casinos and other independently-run brick and mortar venues. Read more about United Kingdom casinos and current UK gambling laws here. What casino games can I play in the UK? Game variety differs between every land-based casino venue in the UK, but generally there are large amounts of slot machines along with classic table games like baccarat, blackjack and roulette always offered. Most casinos have dedicated poker rooms to suit low-stakes players and high roller VIPs; many others host more niche or specialised card game variants like Casino War, Craps, Dice or Three Card Poker, or exotic games like Kalooki, Mahjong, Pai Gow Poker and Wheel of Fortune. You must be over 18 years to enter London casinos, and the dress code is usually smart casual. The official policy in the UK is for bouncers and security to request ID from anyone who looks younger than 21 – sorry those with baby faces! If you are visiting or live in London, you have ready access to some of the best UK casinos, with over 30 gambling facilities in the capital. The city is famous for hosting many exclusive members-only casinos which are smaller in overall size than what players from the United States may be used to. They don’t skimp out on the opulence and luxury, however, with plenty of intimate playing rooms, private bars and high-stakes VIP-only live table games. Birmingham and Coventry have several casinos for residents and visitors to choose from in addition to many late night restaurants, bars, pubs and nightclubs. The Genting Club Star City Birmingham and Genting Casino Hurst St. Birmingham are two of the biggest and most popular in the West Midlands region, with a huge amount of gaming machines, blackjack, roulette, poker, and baccarat tables. 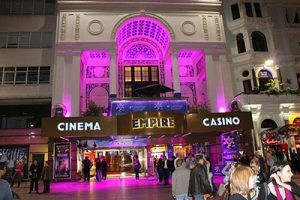 At the center of England, Nottingham and Leicester both boast a decent amount of casino venues for local residents and visitors to the East Midlands region. Alea Nottingham Casino and Gala Casino Leicester are the two biggest in the area, with plenty of live table games on offer as well as slots, video poker and more. As across the UK and in the West, the minimum legal age to play at these casinos is 18 years old with varying levels of dress code enforced. Newcastle boasts three casino venues, with Aspers at the Gate being the biggest local and tourist gambling destination with 20 slot machines, £20,000 progressive jackpot slots, and 27 table games like baccarat, blackjack, roulette, blackjack and Three Card Poker. It has one of the biggest poker rooms in the region and is definitely somewhere you should check out if you are in the region. Scotland has over 12 land-based casino venues for locals and visitors to enjoy, with most based out of Aberdeen, Glasgow, Dundee and Edinburgh. Alea Casino Glasgow and Princes Casino Glasgow are the two biggest attractions, each hosting over 50 gaming machines and 20 gaming tables with blackjack, baccarat, Mahjong, craps, roulette, poker and more. Wales has four casinos and other gaming facilities spread out across two cities in the state. Being the capital city, Cardiff has three of the casinos, with Les Croupiers Casino Cardiff being the largest attraction with over 56 slot machines and 20 live table games of baccarat, blackjack, roulette, and other niche card game variants such as Mahjong, Punto Blanco, and Three Card Poker. We recommend checking out their poker rooms, which are some of the biggest in the United Kingdom – they host everything from classic Texas Hold’em to 3/4 Card Irish and 4/6 Card Omaha Hi, and 5/7 Card Stud. The city of Leeds in Northern England has amazing 19th century architecture in the Victorian Quarter and is big on the arts and family-friendly destinations. It also has a great nightclub scene complimenting its four casinos. Victoria Gate Casino which opened in 2017 is the largest super casino in Leeds and north of England and Scotland, taking up 51,000 square feet in the city center and boasting huge sporting bars, over 200 slot machines and 24 live table games, as well as special poker rooms and attached restaurants and eateries. If you rather stay at home or play on your phone or tablet, you will be happy to know there are plenty of legal, licensed and regulated online casino websites catering especially to UK players. Online gambling has been legal since the framework was put in place in 2005, and the United Kingdom Gambling Commission has led the charge around the world in ensuring players are safe and only the gambling sites which meet strict fair and responsible gaming practices are allowed to be licensed and legally offer interactive gambling services to UK players. 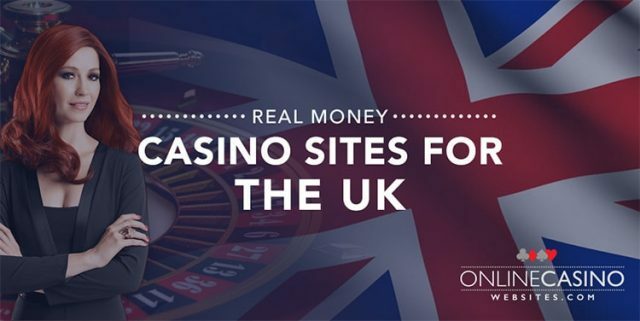 You can check out our special United Kingdom online casinos guide for more detailed information and links on where to play. Sign up to LeoVegas.com and get 200% up to $100 + 180 free spins – it’s our top recommended online and mobile casino website for UK residents and is fully licensed by the United Kingdom Gambling Commission as a safe and trusted online gambling site.